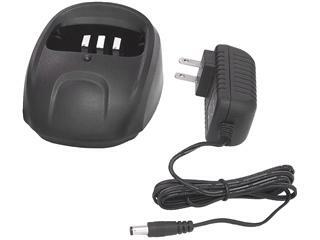 Smart technology desktop battery charger which includes US power adapter for 115VAC. Replace your lost charger or get a spare. Works with TERA TR-590, TR-500 & TR-505 (BAT-50) battery series. Recharges batteries in 1-3 hours.